Members of the British Royal Family are lucky enough to be born into a life of privilege. While lots of people wish they were able to become famous, the royals just are, especially in their home country. 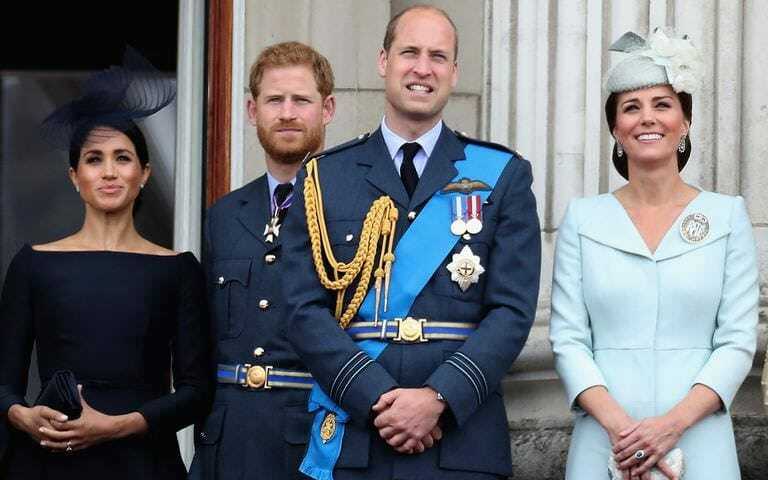 Princes William and Harry grew up with the perks of being a royal and now William’s children, George, Charlotte, and Louis have those same benefits. The youngest members of the Royal Family are remarkably similar to their older relatives, just ask their great-grandmother, Queen Elizabeth II! Prince George and Princess Charlotte are just like any other young child, and they can be a little mischievous at times. Despite their occasional misbehaving, their great-grandmother, the Queen, will always have a special place in her heart for them. Prince George even has his own special name for the Queen, he reportedly calls her ‘Gan-Gan.’ A doting great-grandmother, Queen Elizabeth often has George and Charlotte stay at her home in Buckingham Palace, leaving them little gifts when they do. The Royal Family tends to keep their lives as private as possible, and most of the time they only make appearances in public for major events. Occasionally they will share a bit of information about their lives, but for the most part, they keep quiet about what they do from day to day. Deserving of their privacy, just like the rest of us, many royals keep a low profile, but thanks to the occasional insight we have learned George and Charlotte live normal lives. We don’t get to see Prince George or Princess Charlotte as often as we’d like, but their parents have a good reason to keep them from the spotlight. Prince William and Kate, the Duchess of Cambridge, are trying to raise their kids in as normal an environment as possible. 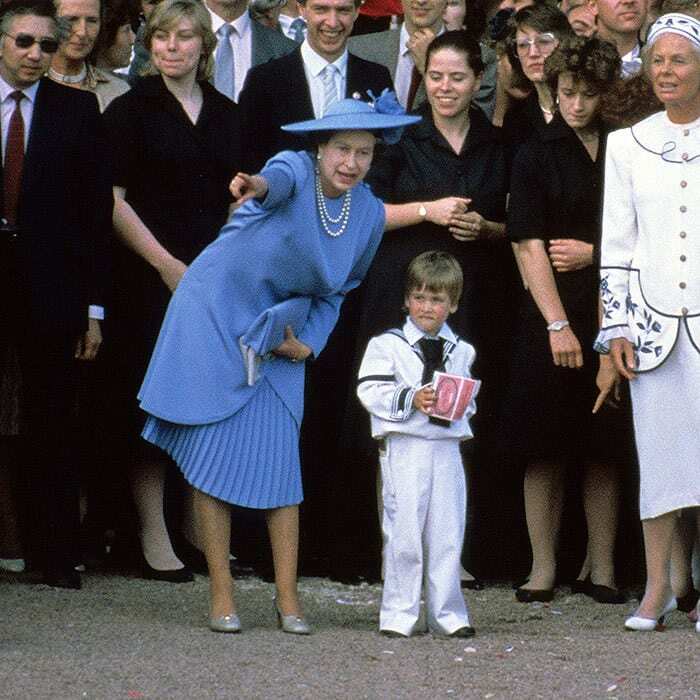 It isn’t easy being a member of the Royal Family, especially as a child, as there are cameras following your every move, even when you’re just going to school. 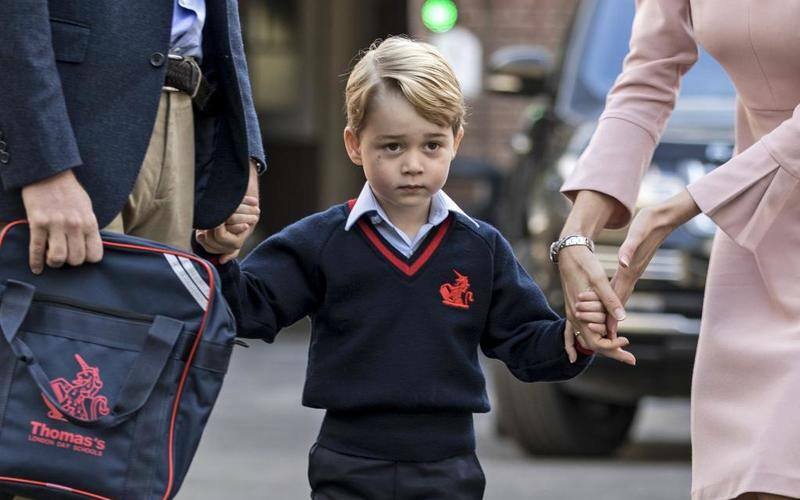 Just like other kids, royal children also have to go to school. Trying to raise their children normally means getting them involved in the kitchen with some of the cooking. 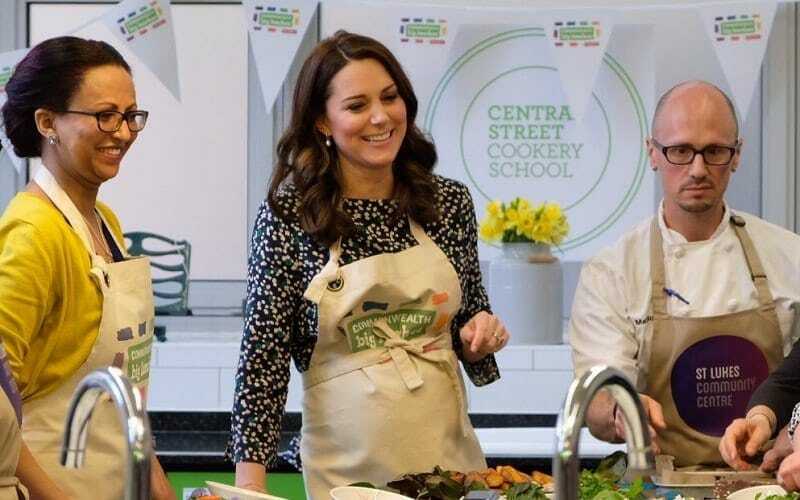 The Duke and Duchess of Cambridge try and get the whole family involved in many things, including making pizzas. Kate admitted to getting her kids involved while she helped out at a community center with preparing food. The main thing her children love making at home is pizza dough as it gives them the perfect excuse to get a little bit messy. Just like most other kids, the royal children love getting their hands dirty. 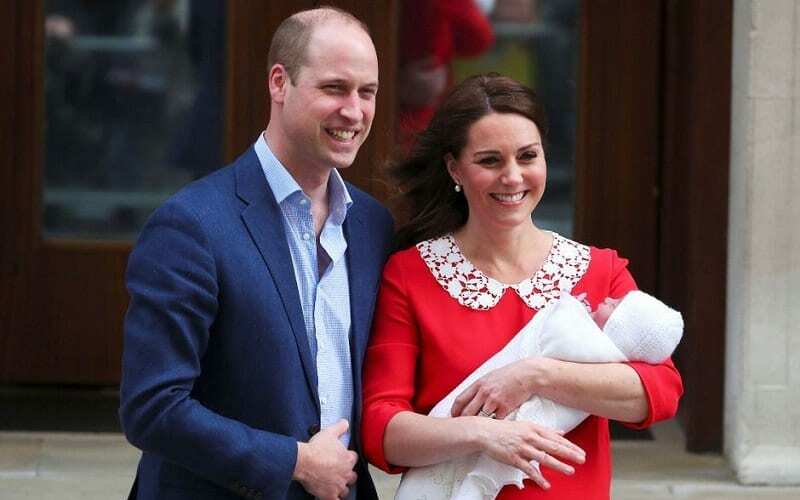 Prince William admitted in a 2016 interview that the reason why he and his wife try to raise their children normally is that they feel like an ordinary family. Of course, as much as they would like to have a normal life, they don’t, and the entire family has royal commitments. 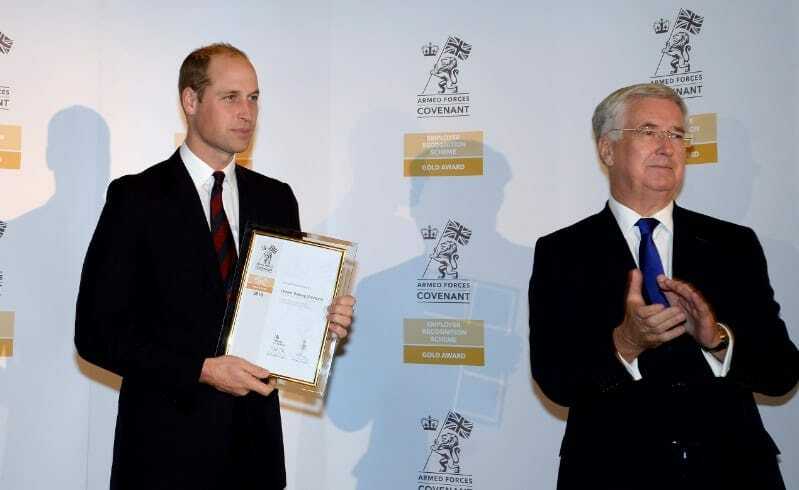 Outside of their responsibilities, William said that they try to have as normal a life as possible, adding his love for his children is the same as any fathers. 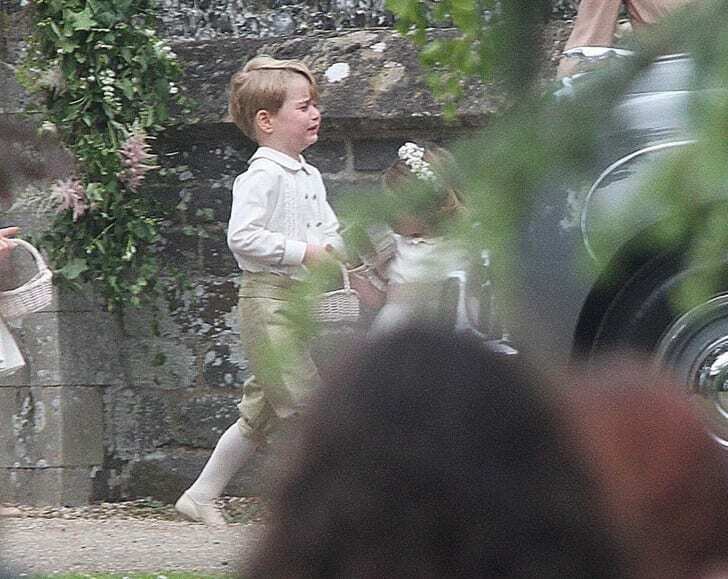 Although they might have been sheltered from the cameras at a young age, George and Charlotte are growing up and are more aware of who they are than ever before. The royal children are aware now why they are different from other children, which means they know why the cameras are there. Rather than ignoring them like their adult relatives, the young children prefer to react to them. They know the cameramen and women want a picture, so they are only happy to oblige by putting on a show! During her uncle’s recent wedding, Charlotte made sure people would be talking about her as well as the ceremony itself. Acting as a flower girl for the wedding, Charlotte stuck her tongue out at the cameras. She had behaved perfectly during the wedding, but when it was time to leave it was time to turn on her charm for the cameras. Charlotte did what pretty much any other three-year-old would have done, and had some innocent fun despite how momentous the occasion was. 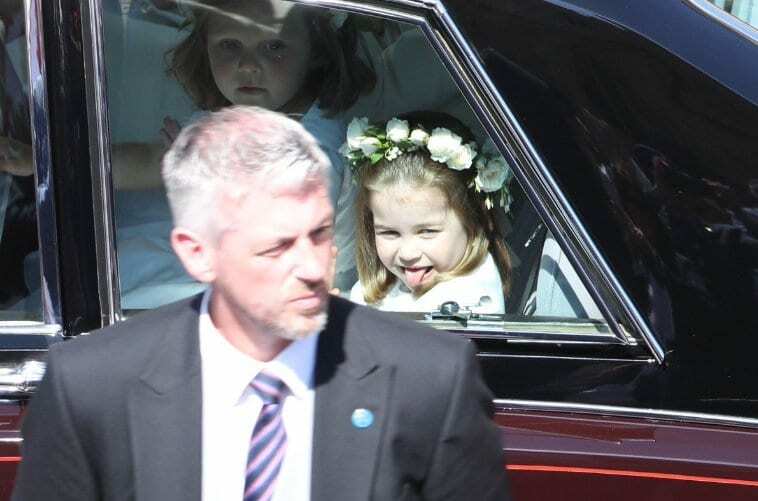 Charlotte isn’t the first royal fond of sticking their tongue out at the camera, in fact, her uncle was doing the exact same thing when he was younger. 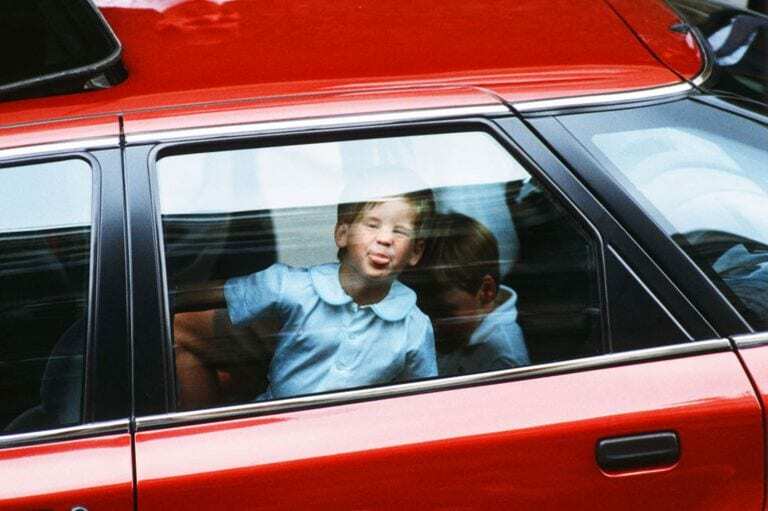 Prince Harry was caught sticking his tongue out at photographers when his cousin, Princess Beatrice, was born in 1988. It seems as though Charlotte has been taking lessons from her uncle, as Harry was captured on numerous occasions sticking his tongue out to photographers during his childhood. Acting up in front of the cameras seems to run in the family. While Charlotte might be known as the cheekier child of the Duke and Duchess of Cambridge, that doesn’t mean her older brother is an angel. George is also often caught on camera not being on his best behavior, but what five-year-old is ever on their best behavior all of the time? Despite being the future king, Prince William has admitted that George can be a “little monkey” when at home. William called him a little monkey in a loving way, but that doesn’t mean George escapes punishment for misbehaving. While running as normal a home as possible, William and Kate will no doubt have handed out their fair share of punishments to their children. Trying to help their children grow into decent people, the parents will occasionally have to put their foot down to discourage bad behavior. On a recent trip to India, William and Kate admitted they had to leave George behind because he wasn’t behaving well at all. The Duke and Duchess couldn’t focus on their work if they had to chase a five-year-old around the whole time. Of course, most of the time we see William and Kate’s children on camera they are behaving themselves, but they have been caught on bad days too. During their Pippa Middleton’s wedding, after planting his foot on the bride’s train George received a stern telling off from his mom. Being told off by your mother is never a fun experience, even as an adult, and George turned on the tears soon after Kate’s dressing down. He quickly composed himself though, and he continued to be a part of the wedding. 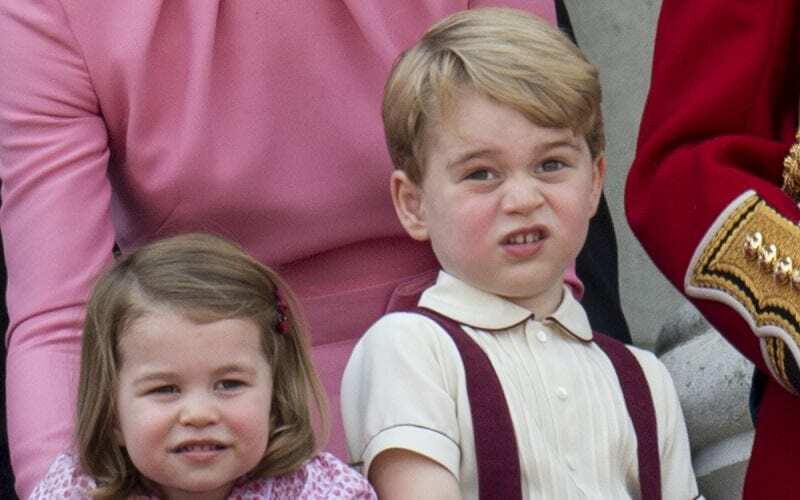 It isn’t just George who has been caught getting a telling off from Kate as Princess Charlotte suffered the same fate as her brother in 2017. 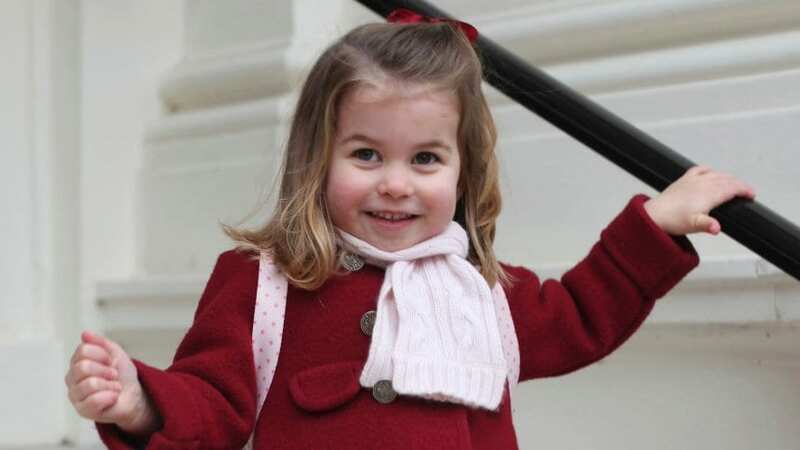 Princess Charlotte was acting up while standing beside a helicopter, probably not something ever three-year-old does, and her mother told her off. To prevent a full-scale tantrum, Kate had to give her daughter a talking to in order to stop Charlotte from stamping her feet and crying. Even though she was only young, Kate felt the need to put an end to Charlotte’s tantrum. Charlotte didn’t get told off for very long, and within minutes she was back in her mother’s good books. After her short tantrum, the young princess had an accident and she tripped. Falling over led her to cry out, which of course meant that Kate moved in to comfort her daughter by affectionately picking her up. 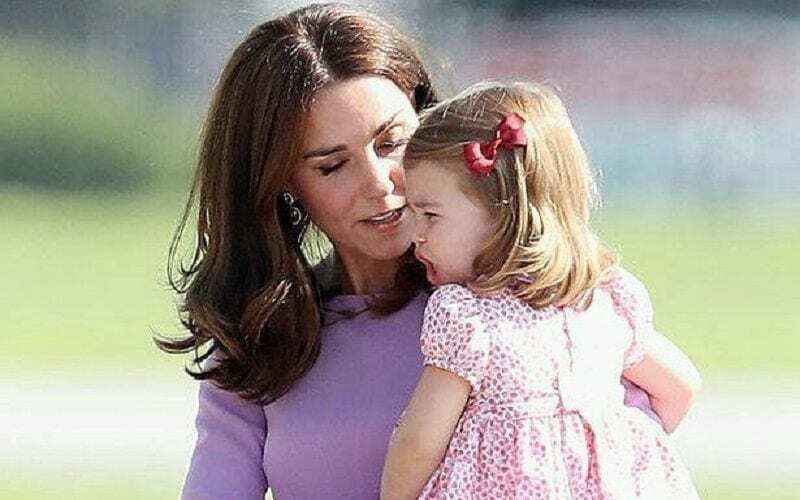 Parents never want to see their child upset so Kate did all she could to make Charlotte feel better and the tantrum was quickly forgotten as the young princess needed love. Leading incredibly busy lives, William and Kate often call on support from their family. Luckily for the Duke and Duchess, they have a large family to rely upon, and there are plenty of occasions for George and Charlotte to spend with the Queen. Despite having an incredibly busy life, the Queen always tries to make time for her family. Whenever George and Charlotte visit Buckingham Palace, they are always fortunate enough to receive a gift from their great-grandmother, although they get gifts, they still act out when with the Queen. 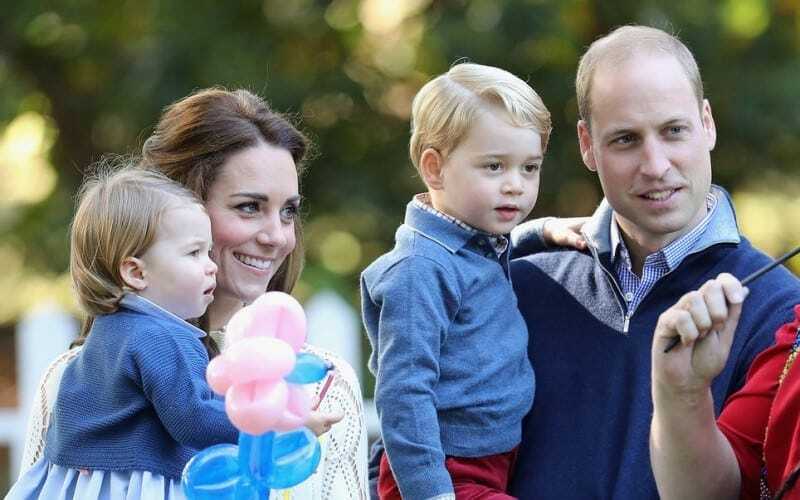 William admitted that George can act out when at home and it seems as though this behavior isn’t saved just for his parents. 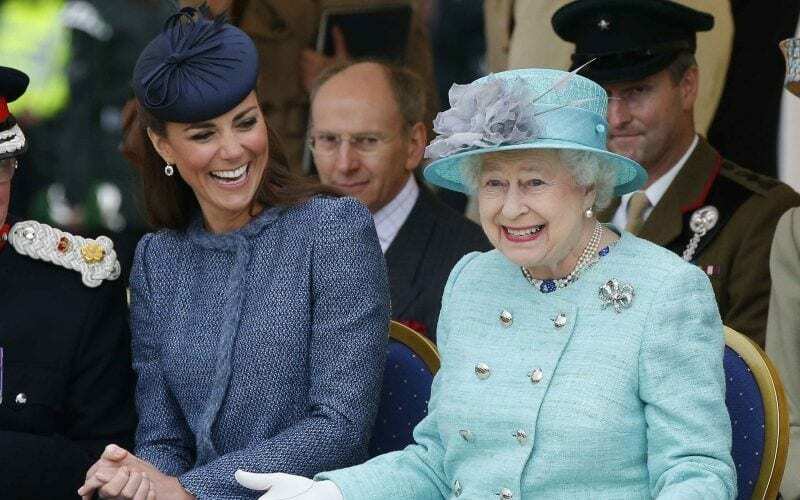 Even when spending time with his great-grandmother, George can be mischievous, despite being in the presence of Her Majesty, Queen Elizabeth II. 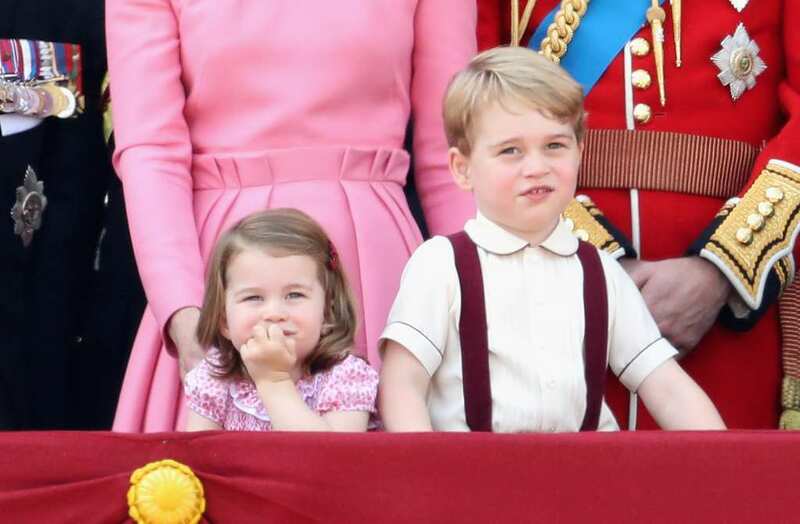 George and Charlotte have earned a reputation for being particularly naughty around Christmas time, to their great-grandmother’s annoyance. Even though she might get annoyed at their behavior, she doesn’t get too angry with her great-grandchildren. It seems that their Christmas-time pranks are something they learned from their father. During Christmas time at Buckingham Palace, William and Harry would often mess up the queen’s tree whenever left alone with it. This is something that George and Charlotte have started doing too, showing that the mischief actually runs in the family. 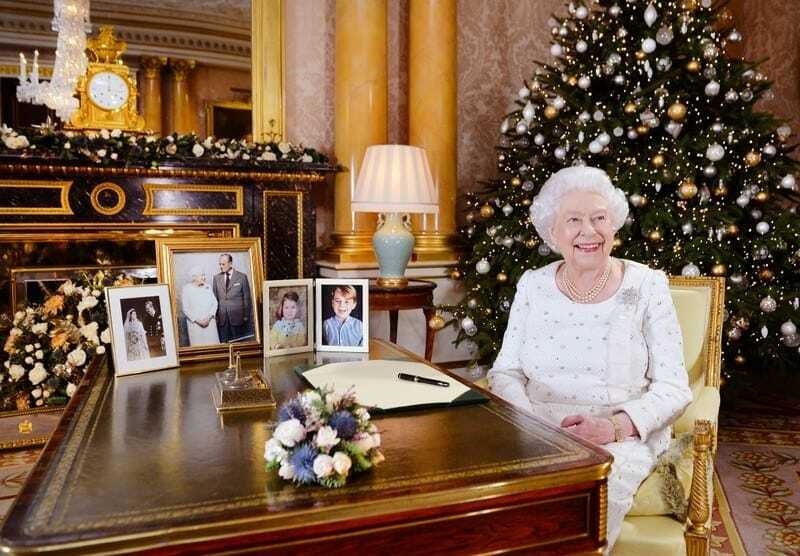 Even though she has been victim to Christmas vandals for years, the Queen has a few tricks up her sleeve to stop her young relatives messing up her decorations. Queen Elizabeth has been ruling over the United Kingdom since 1953 and has learned a few things about keeping order. To prevent her young relatives from messing with her Christmas decorations, the Queen makes them help her put them up. Not only does it work in getting her young relatives to behave for a while, it is also a fun event for the entire family to get involved in. While it isn’t completely foolproof (they are still young kids), George and Charlotte behave better when helping their great-grandmother decorate her tree. 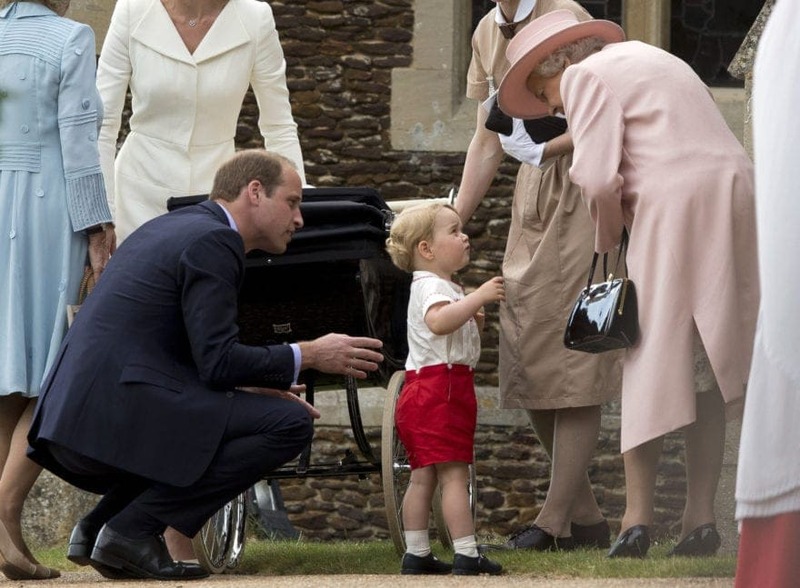 It’s not just two great-grandchildren the Queen has to contend with. William and Kate added a third child to their family last year, Prince Louis, who is likely to be as mischievous as his brother and sister. The Queen has another four great-grandchildren to contend with thanks to Peter Phillips and Zara Tindall. Phillips and Tindal have two children each, meaning the queen has a lot of presents to dish out when her great-grandchildren visit, and lots of Christmas decorations to protect! While mischief runs in the family there is another trait that the family members share, looking alike! 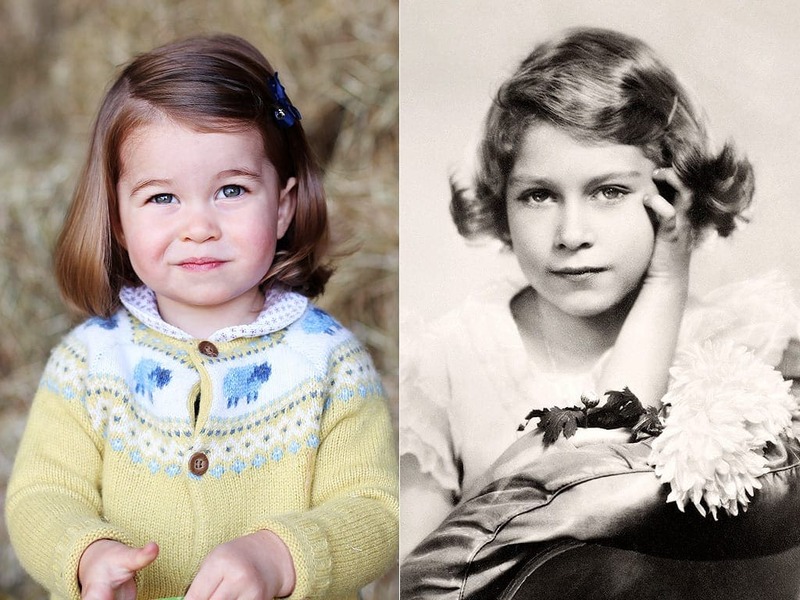 Despite being just three years old, Princess Charlotte is already bearing a striking resemblance to her great-grandmother, the Queen. Charlotte has been photographed wearing the same sunglasses as the Queen, and they look very similar in these portraits. Both family members have striking blue eyes with similarly arched brows. Not only do they have the same eye color, but Charlotte’s hair is the same color as the Queen’s when she was the same age. Charlotte isn’t just known for being the prankster of the Royal Family, she also has a sweet side. Noted for being fond of her little brother Louis, Princess Charlotte has been pictured kissing him on the head before. 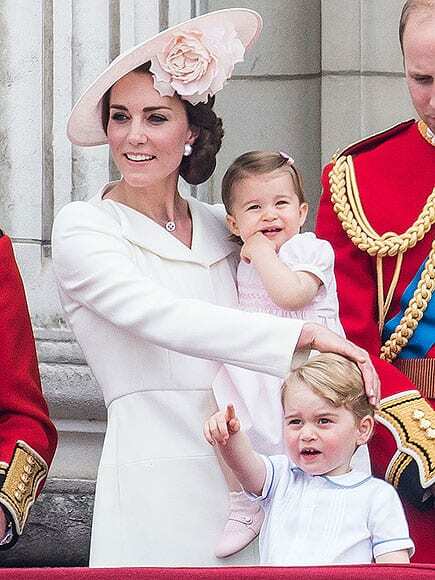 Also in an official portrait of the Royal Family, Charlotte is visibly distracted by her baby brother. 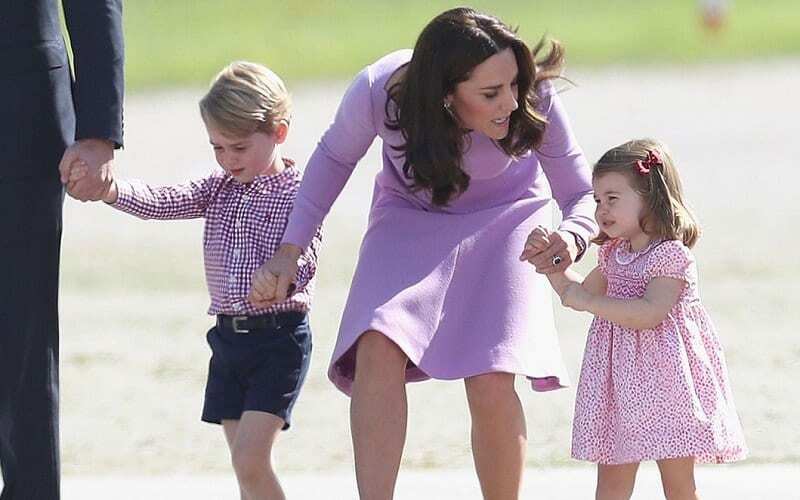 Members of the Royal Family have said that even though she is younger by two years, Princess Charlotte bosses her brother George around and she is in charge! 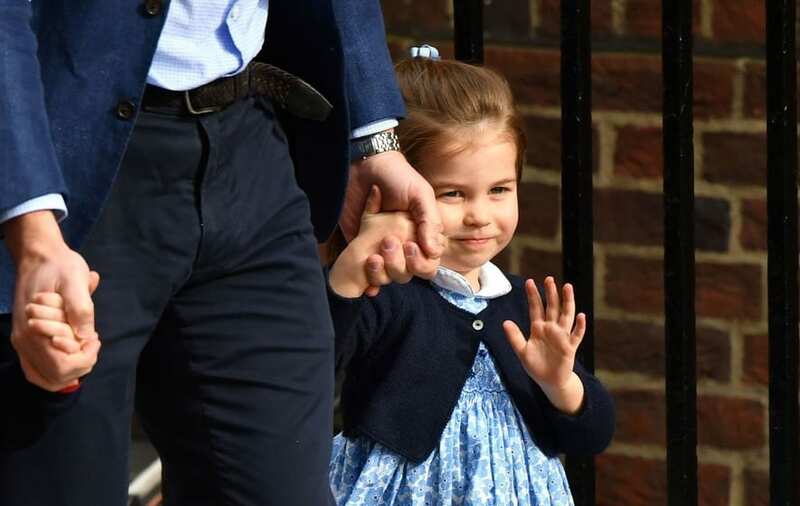 Princess Charlotte is not just the boss of her older brother, she also acts as the boss of the photographers who follow her around all the time. After being followed around by paparazzi for her whole life, it has taken Charlotte a little while to get to grips with her fame. Now that she knows what’s up with the photographers, she has started bossing them around as well as her brother. 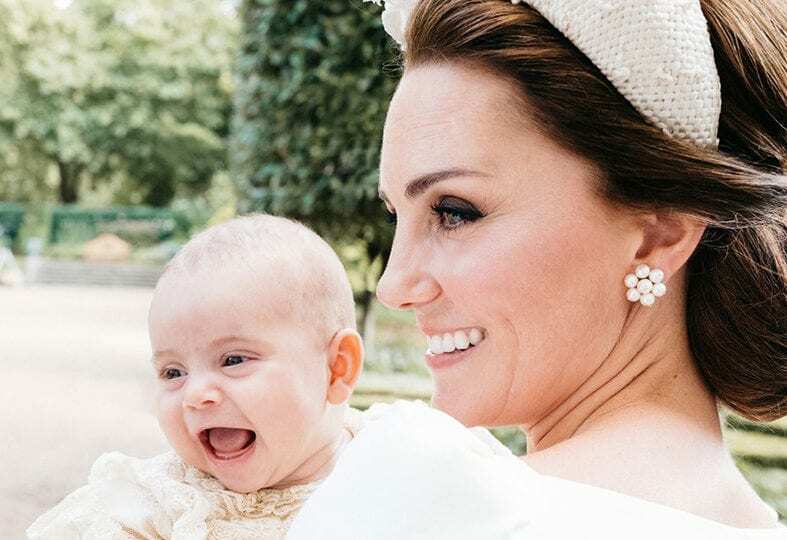 When attending Prince Louis’ christening, Charlotte turned to the photographers and told them all they weren’t coming in! Although Princess Charlotte might be a natural in front of the cameras, her brother George is known to be a bit more shy. When George was younger, the Duke and Duchess released a letter telling the media to back off and stop “harassing” their kids. 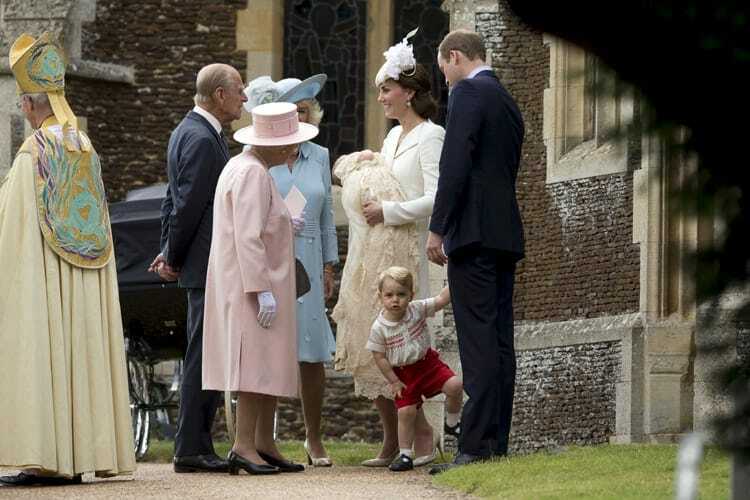 William and Kate were accusing photographers of using long lenses to infiltrate their home and spy on their kids. It was going to be impossible to raise their children normally if they were going to be constantly harassed by photographers. Expectations are high of Prince George. He is the third in line for the throne and is beginning to show his independence, even though he still remains close to his young sister. Like many shy people, Prince George is initially quiet around new people, but when he gets to know them, family sources have claimed that he is really chatty. 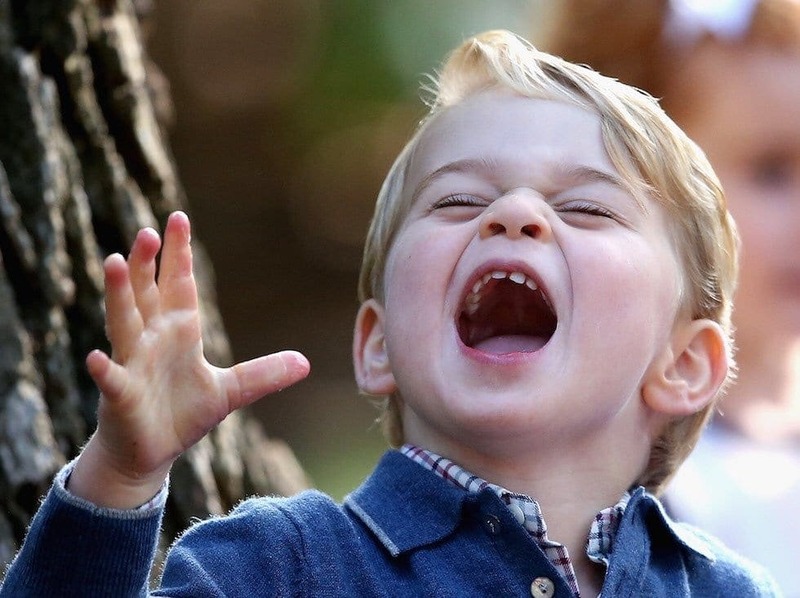 Some people take longer to be comfortable with their surroundings, and while Charlotte took to fame like a duck to water, Prince George is now coming out of his shell. The future King of England is going to need a good education to understand the world, and the country he will rule over. William and Kate want their kids to have a normal childhood and for George, that means going to school. 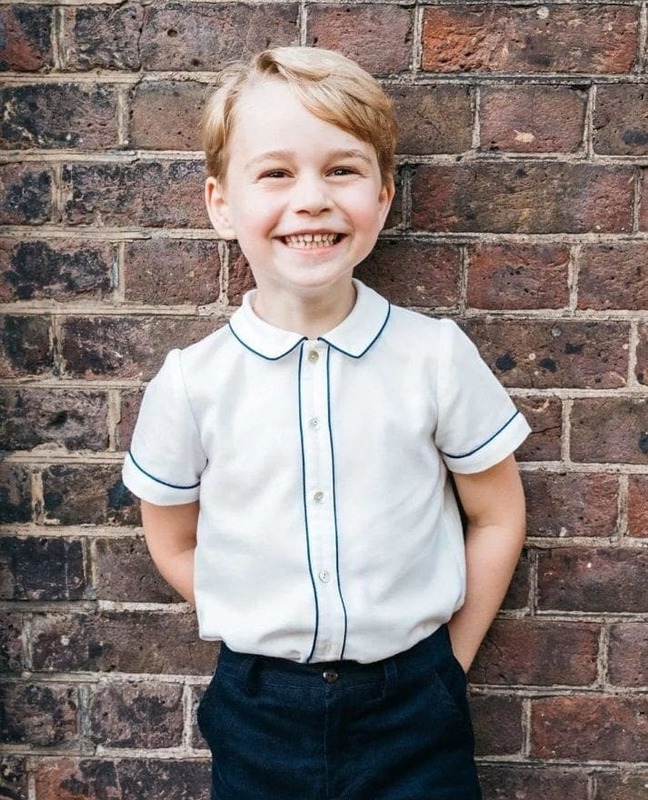 To make sure he gets a first-rate education Prince George is being sent to Thomas’s Battersea, a school known as the “best money can buy.” The school reportedly costs $23,000 per year to attend, even if you are only five years old. Queen Elizabeth II is a known animal lover, particularly her beloved corgi dogs. From an early age, the Queen rode horses and later was involved in breeding them too. She is such an animal lover that one time she even got really excited to sit with a bunch of cows! Just like her great-grandmother, it seems as though Charlotte is a lover of all things four-legged too. 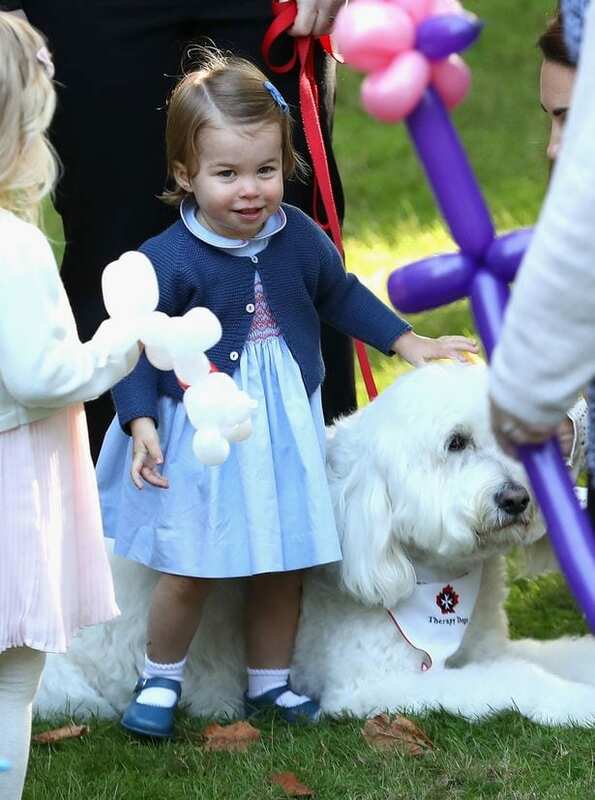 When her family visited Canada in 2017, Charlotte reportedly fell in love with both a bunny rabbit and a large fluffy dog. One move all royals need to have in the bag is the wave to an adoring public. Often spending lots of time engaging with people, the Royal Family need to learn how to give their admirers the right kind of response. 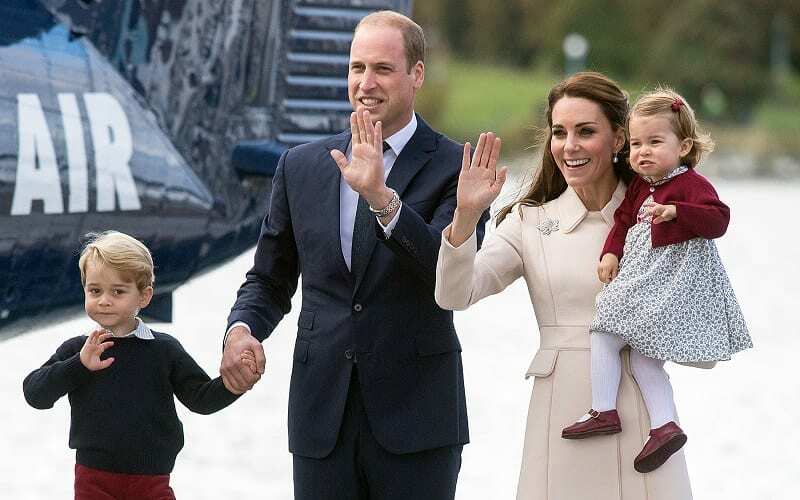 Princess Charlotte has been showing off her waving skills at a young age and when her baby brother Louis was born her waving technique sent the internet into hysterics. Unlike George, it seems as though Charlotte really thrives on the attention she receives as a royal. If she’s going to learn how to wave, then she might as well learn from the waving expert herself, the Queen. 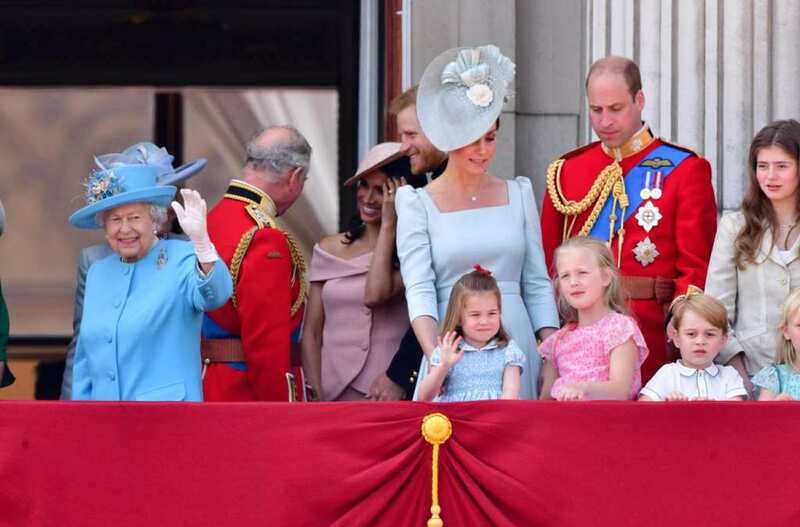 At the Queen’s official birthday parade in 2018, Princess Charlotte almost stole the show after following the great-grandmother’s lead and waving to the crowd. Once again Charlotte was making headlines all over the globe, showing off her close connection with her great-grandmother. 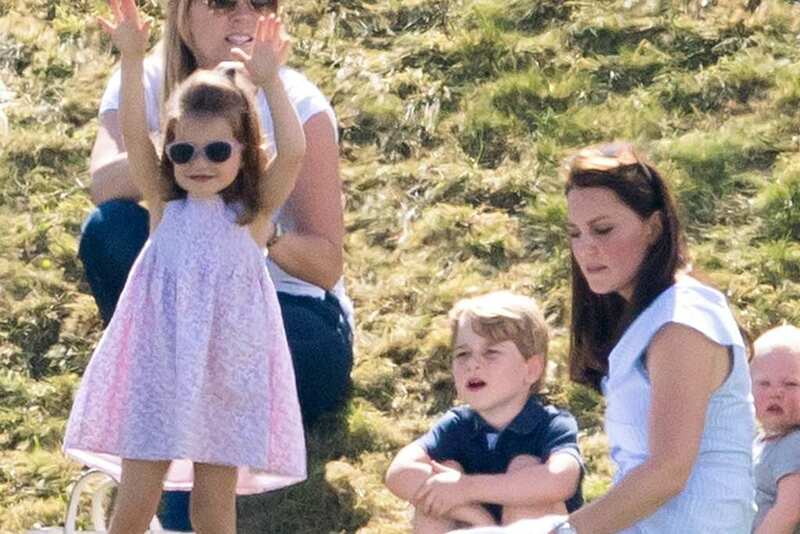 Even though she was at the Queen’s birthday celebrations, Charlotte’s adorable antics once again were all that anybody could talk about. When she was born Princess Charlotte made history, she was the first princess to avoid being overtaken by a younger brother. After George was born, people speculated what would have happened if he was a girl, so the law was changed to ensure it wouldn’t matter. This was something that had never been done before, and if the laws hadn’t changed, she would be behind her younger brother Louis to sit on the throne. Thanks to the rule change, Charlotte remained fourth in line after Louis was born. 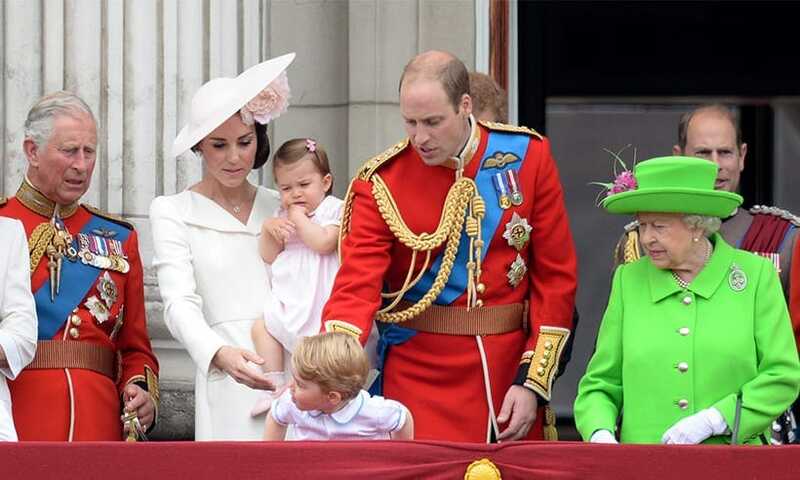 Being a member of the Royal Family comes with plenty of excitement. There is always another ceremony or event to attend, and the children in the family are always entertained. To honor the 100th anniversary of the Royal Air Force, the family enjoyed a flypast in July 2018. 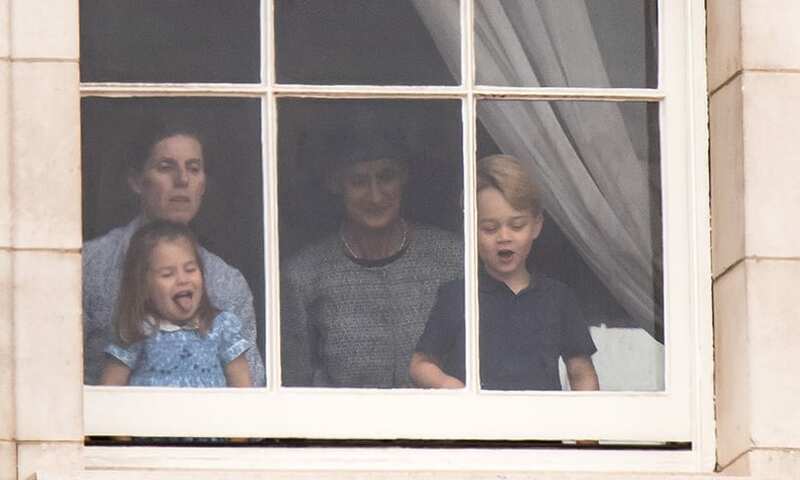 Although William and Kate were able to watch from a balcony, Prince George and Charlotte watched from behind a window, with their noses pressed firmly to the glass. While George watched in awe, Charlotte was striking her trademark pose, sticking her tongue out! Prince George calls his great-grandmother ‘Gan-Gan,’ but that’s not the only nickname the Queen has earned over the years. Prince William also had a very special name for his grandmother. Among her many titles, Queen Elizabeth also went by the name Gary. William wasn’t able to say Granny just yet so he called his grandmother Gary instead. When he fell over at Buckingham Palace one time he kept asking for Gary, but no one knew who that was. The Queen would have to explain to her staff that she was actually Gary. With another royal baby on the way, Prince Harry and Meghan Markle are expecting, the Queen is going to be seeing more little great-grandchildren running around soon. For the Queen, the most important thing is family and William has praised his grandmother for the way she treats his children. Although William and Kate are trying to bring their children up as normally as possible, having some help from the Queen every now and then is always going to be appreciated. Despite her royal obligations, the Queen still makes time for family. Followers of the Royal Family get to see the youngest members’ personalities shine through at major events. When all the cousins are together they can just act as children do and let loose. It seems as though Princess Charlotte is not the only boss of her older brother, and seven-year-old cousin Savannah bosses him around too. 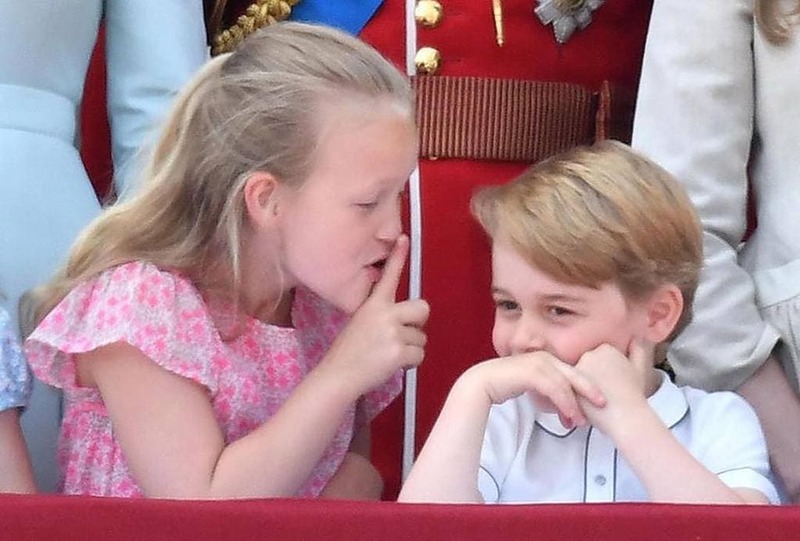 During an appearance on the royal balcony, Savannah can be seen shushing George, the future King. Despite him being closer to the throne than her, Savannah isn’t afraid to tell him what to do. Born on April 23, 2018, Prince Louis is the Queen’s sixth great-grandchild. Despite being just a baby, Louis is fifth in line to take the throne thanks to his parents being the Duke and Duchess of Cambridge. Although we don’t yet know what his personality is like, he is often seen smiling and giggling in official pictures. While he is the apple of his parent’s eyes, Princess Charlotte has also shown she is really fond of her cute little brother. Trying to form as close a bond as possible to all of her family members, the Queen went to visit young Louis very shortly after he was born. Already she has formed a close bond to Prince George and Princess Charlotte, so it seems likely that she will be doting on her newest great-grandchild too. 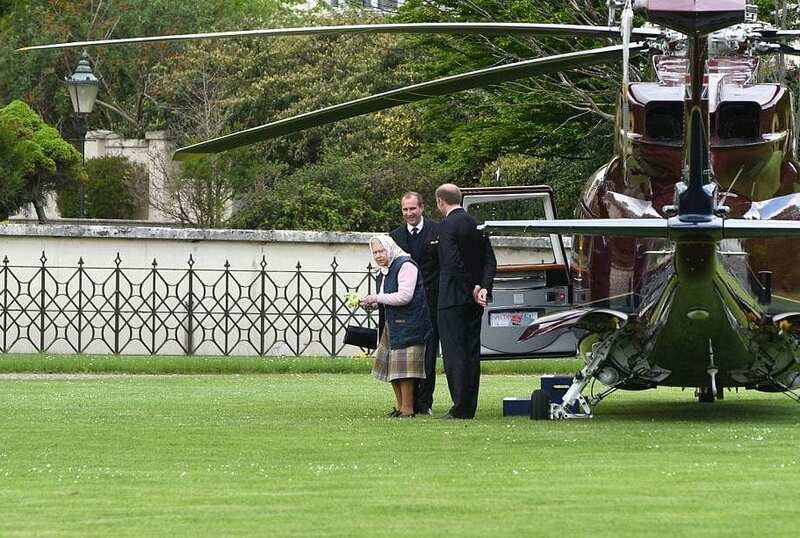 She might have only been staying an hour away from Prince Louis after he was born, the Queen arrived in style by flying in her helicopter to meet her great-grandson. It’s not just Princess Charlotte who loves the same things as the Queen. 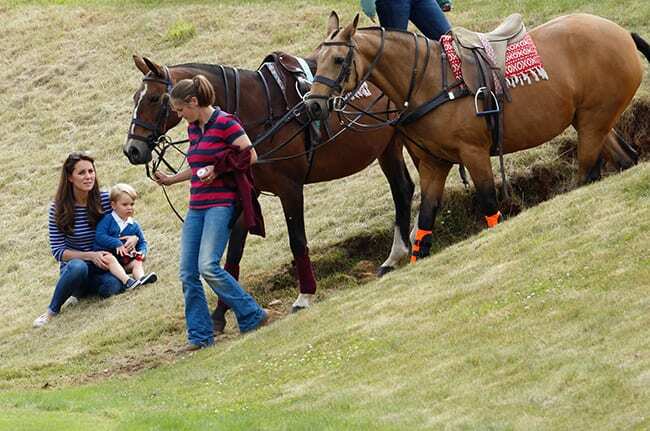 Earlier this year the family announced that Prince George has taken up one of his great-grandmother’s past times, horse riding. 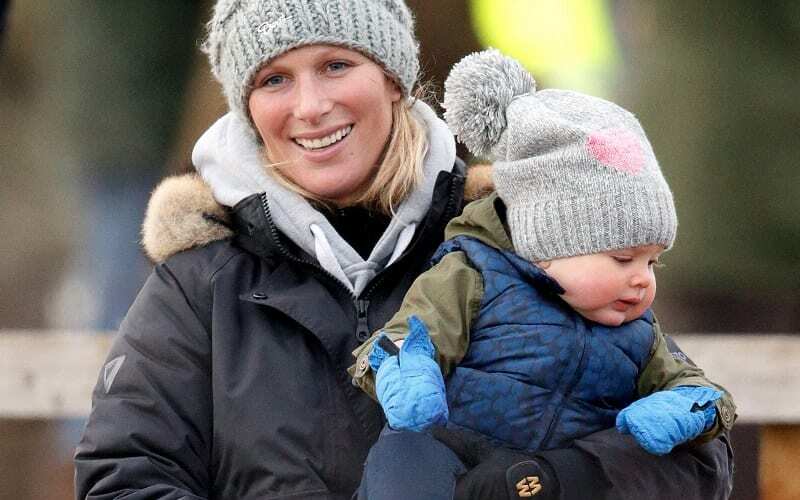 Who better to get lessons from than Zara Tindall? She is his aunt and Olympic silver medallist at the 2012 Games. Charlotte reportedly loves horses too and has been riding since 2016. 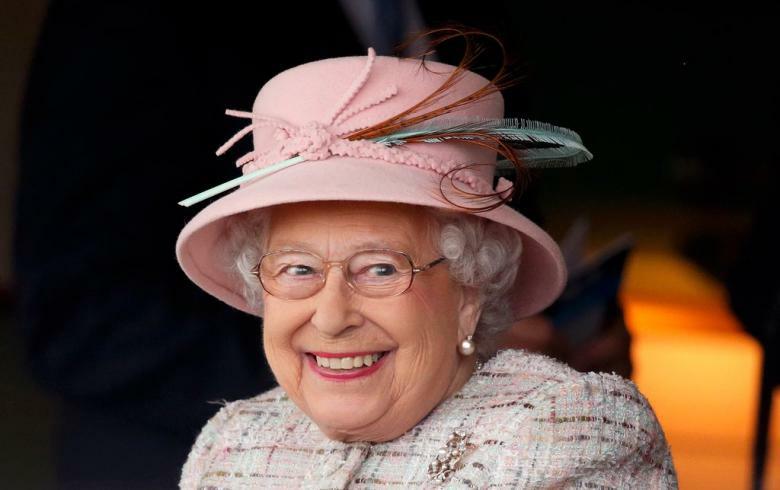 Riding on horseback runs in the family, and the Queen is said to still get out on horseback even at the age of 92. What do you buy someone who has everything they could ever wish for? That is the problem when buying gifts for the Queen. Like most other families, instead of buying her anything, Prince George and Princess Charlotte make their own presents for their great-grandmother. Naturally the Queen loves all the gifts her young relatives make for her and getting arty is something George is reported to really enjoy. Perhaps when he makes it to the throne he will be the most creative and artistic monarch the UK has ever seen. 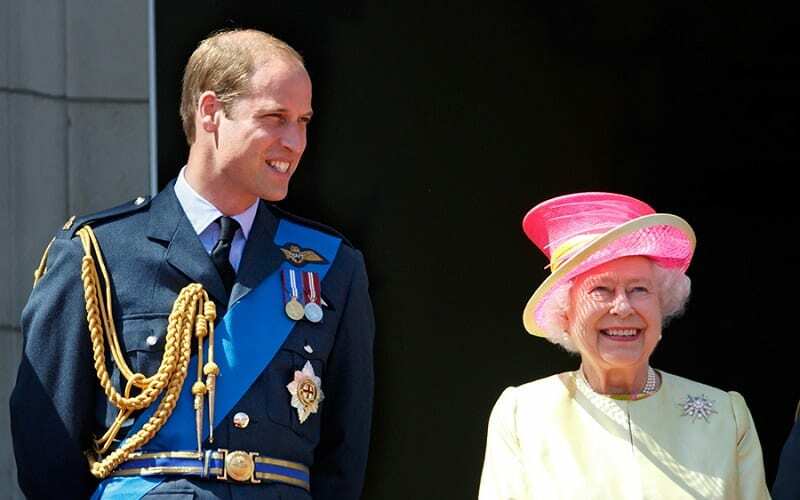 According to reports Prince William and the Duchess have not yet told George he will one day be King. For now, he is being allowed to live his life as a young child, and he hasn’t even been to his first royal engagement yet. His teachers and classmates don’t give him special treatment at school as his parents just want him to enjoy being a normal child for as long as possible. George’s future is on the throne, but for now, he’s just getting to live his life free from pressure. A source close to the Royal Family understands that the Queen supports William and Kate’s desire to let their kids grow up in as normal an environment as possible. The Queen agrees with keeping George, Charlotte, and Louis out of the spotlight as much as possible to allow them a safe and happy childhood. The time will come when they know exactly who they are and what is demanded of them, but for now, we can expect more of the same from the young royals. The Queen has been around for a long time – she is now 92 years old – but that doesn’t stop from her supporting her family as much as possible. She continues to give them love and affection, spending as much time with George, Charlotte, and Louis as she can. William hopes his children are able to realize just how lucky they are to have known her. Prince William wants his children to look up to their great-grandmother as a role model for the rest of their lives.